In this post, we outline some of the most popular coloured gemstones to use in an engagement ring and their corresponding meanings. Different gemstones evoke different emotions and memories symbolizing the strengths or goals of a relationship. The meaning behind the engagement ring can make the jewellery that much more special, unique and most importantly: personal. By personalizing the ring to this level, the engagement ring or wedding band elevates itself from a collection of materials to something more difficult to quantify. It becomes a symbol of love and the special bond of two people. Aquamarine is the birthstone for the month of March. They are a crisp shade of crystal blue that rivals the colour of the waters in the tropics. This shade of blue speaks of open communication, honesty, and courage. Giving your fiancé an aquamarine engagement ring tells her that your love for her will be as clear and strong as the gemstone on her finger. Amethyst is the birthstone for the month of February. A very iconic and mystical gemstone, amethyst was once worn by Greek nobility to ward off evil and keep the wearer quick-minded and in a calm, peaceful state. While this history lesson may not impress her, the deep, rich purple hues of an amethyst will surely catch her eye and put a smile on her face. Giving your fiancé an amethyst engagement ring promises her a life of peace, a home filled with goodness, and maybe a little magic. Emerald is the birthstone for the month of May. Natural emeralds are a divine treasure to behold for they always contain small inclusions of other minerals because of how natural emeralds form. This only adds personality and uniqueness to the ring you will give to your forever love. Gifting her with a ring that’s so unique itself, speaks volumes about how you view her as a beautiful, unique, and perfectly imperfect part of the future you want to build with her. 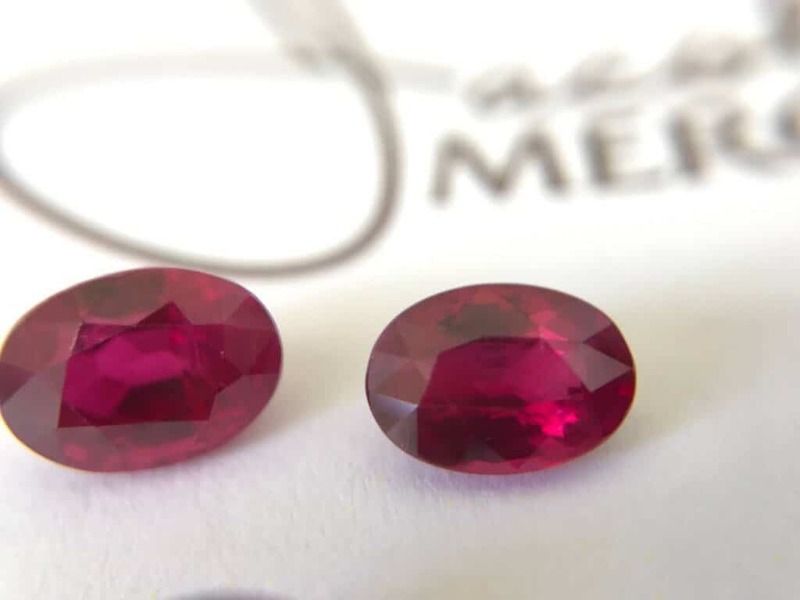 Garnet is the birthstone for the month of January. They possess a deep, rich colour that resembles the shade of red wine. Other than being a birthstone, garnets are a symbol of everlasting romance. The colour of garnets speaks of deep-rooted passion and dedication. Giving your fiancé a garnet tells her that you will always be hers and she will always be yours. Sapphire is the birthstone for the month of September. 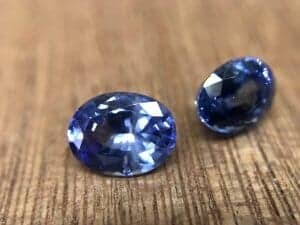 The rich, deep blue colour of a sapphire has no rival. Sapphires possess a bold and stately hue that speaks of eternal bonds and a love deeper than the ocean. A favourite of royalty for centuries, the giving of a blue sapphire as an engagement ring tells her that she’ll always be the queen of your kingdom. This is a gemstone that is a surprise from any angle. Upon first glance, a moonstone will appear to be a plain white colour. All it takes is one slim movement on your part for you to see a cascade of rainbow hues shimmer across its surface. Moonstone is an exotic and iridescent gemstone that acts as the perfect crown jewel of a woman who is just as surprising, rare, and uncommonly beautiful at any angle. Morganite has become a popular engagement ring stone in recent years. This is due to its soft pink colour, which grants it a very delicate and feminine look. Morganite is a type of beryl meaning it is in the same classification of gemstones as emeralds. Often called the pink emerald, morganite evokes a sense of whimsy and fantasy. Gifting her a morganite engagement ring tells her that you plan on giving her a happy ever after. The engagement process is very special and something to be enjoyed and cherished. Sometimes adding a little extra meaning to the ring can make the experience of creating a custom engagement ring or wedding band that much more enjoyable and memorable. Attaching meaning to your jewellery can enhance the prestige of the piece; as well as, the relationship it comes to be a symbol of.